Bristol/Canandaigua, NY: Ray went to be with the lord after a brave battle with melanoma and a very courageous and valiant battle with COPD on December 12, 2014 surrounded by family at the age of 78. He was predeceased by his loving wife of 52 years, Elane Steidle "Fluffie" Barend, his son Raymond J., and his parents Bernard and Rose Barend. He will be sadly missed by his children Linda Barend, Penny (Tim) Hensler, and Heidi (Skip) Guerrie and 73 foster children. He is also survived by his ten grandchildren Steven, Jason, Alyssa, RaeLyn, Bryce, Noelle, Brynne, Clarissa, Sabryna and Owen and three great grandchildren. He will also be sadly missed by his brother Harold (Dorothy) Barend, his sister Alberta Austin, his sister-in-law Patty Steidle who was very helpful in his later years, his sisters and brothers in law, many dear nieces, nephews and devoted dear friends. Raymond "a Christmas baby" lived a very full life. He and Fluffie were married on April 16, 1955. He worked for E. J. Dupont Company before starting a career as a Rochester Firefighter. Being a firefighter was Ray's dream job, but early in his career he received a serious firefighting injury and was assigned to the Fire Alarm Office. It was here that Ray would become best known and make the most impact in the fire service, becoming an Emergency Communications Instructor for Monroe County's 39 fire districts. During the evolution of the Office of Emergency Communications (9-1-1 Center) Ray developed and trained all the new Fire and EMS dispatchers that would be needed before turning on the 9-1-1 system. Ray loved his time working with his family of firefighters. After retiring from the Rochester Fire Department, Ray became Bristol Town Supervisor and later became Chairman of the Board of Supervisors for Ontario County. 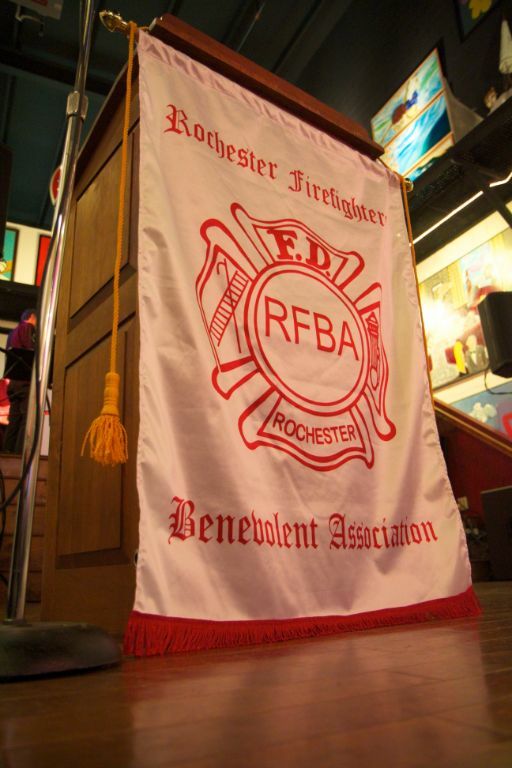 Ray was an active member of the Bristol Fire Department, the East Rochester Fire Department's Exempt Club, an Honorary Life member of the Lake-shore Fire District and a member of the Bristol Historical Society. Ray spent his life serving people. His favorite quote was: "The Power of the People, we did it together and we did it our way!" Ray will be remembered as being a very caring, honest, hardworking, funny, courageous and strong person. Ray always fought for what he thought was right and fair. Friends may call Friday, December 19, from 2-4 pm and 6-8 pm at Fuller Funeral Home Inc., 190 Buffalo St., Canandaigua. Family and friends are invited to attend his funeral Mass Saturday, December 20, at 9:30 am at St. Mary's Church in Canandaigua. Burial will be in Evergreen Cemetery, Bristol. In lieu of flowers, memorial contributions may be made to the Bristol Library, 6750 County Rd 32, Canandaigua, NY 14424 or to the Levi Corser Memorial Park c/o Bristol Town Hall 6740 County Rd 32, Canandaigua, NY 14424.